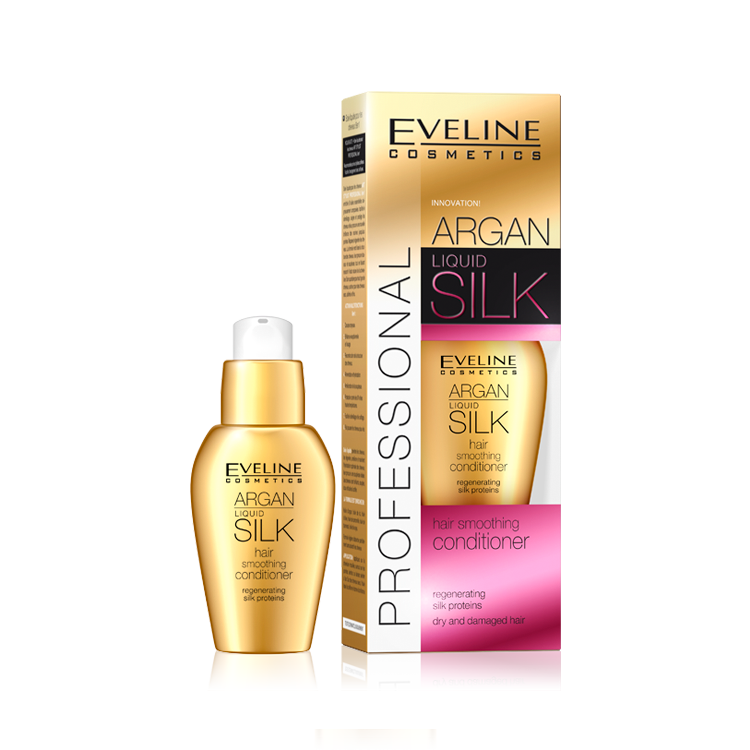 Liquid hair silk, enriched with 6 carefully selected oils with exceptional properties, comprehensively cares, facilitates hair combing, protects hair and gives them exceptional shine from the root to the tips. Elixir reinforces and regenerates hair. It smoothes out their structure, giving them softness and resilience, brings out their beautiful, natural shine. It is recommended for everyday care of any hair type, especially dry, damaged and delicate. 2. Exceptional shine and smoothness. Liquid silk is a natural, intensively working rebuilding and hair strengthening conditioner. Silk proteins penetrate into hair fibres regenerating them, restoring their optimal moisturisation level and ideal smoothness. The hair is full of shine, elastic, soft and easy to arrange. Argan oil reinforces, nourishes and regenerates hair. Rice oil, which is a concentrated source of precious vitamin E, protects hair, rebuilds their structure and gives them softness. Olive oil intensely moisturises and regenerates as well as increases hair resilience. Chamomile oil moisturises and smoothes out, protects hair against water loss, prevents hair frizz and breaking as well as splitting tips. Soybean oil contains complex of precious for hair vitamins and minerals which accelerate hair structure restoration. Light formula of the elixir is perfectly absorbed and does not weight down the hair.